I want to encourage you to write your story this year. I know, I know...with all the bazillion and one things vying for our time every second of every day, why on earth add another thing to your plate? Seriously, who has the time (let alone the energy) between grocery shopping and wiping bottoms and making just enough money to keep the electricity on, to unwind with an hour or two of writing? Who has so much dead space in their lives, that picking up a hobby for a few hours a week that neither makes you skinnier nor puts your child to sleep nor pays the bills, seems like a good idea?! Before you go running the other way, give me three minutes to convince you why writing your story may actually be the very thing that fits into your life - that reduces your stress, that creates meaning and hope in your life, and that focuses you in such a way that you’ll find yourself living with intention and joy everyday. Writing gives us eyes to see. I am living proof of how transformative writing our stories out can be. Writing allows us to fit the pieces of our lives together & view them all as one amazing picture, rather than the chaotic, scattered mess they can often seem to be. 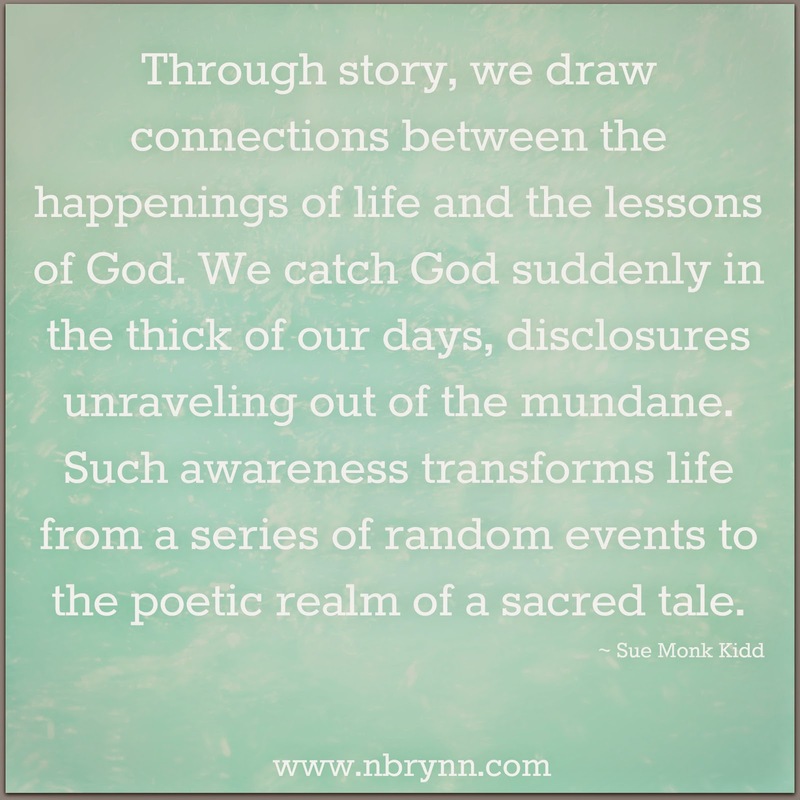 Beloved author Sue Monk Kidd wrote in her book, Firstlight, "Through story, we draw connections between the happenings of life and the lessons of God. We catch God suddenly in the thick of our days, disclosures unraveling out of the mundane. Such awareness transforms life from a series of random events to the poetic realm of a sacred tale." Putting our stories into words is the quickest route to finding ourselves again (and, in turn, finding our priorities and our peace). I am prone to busyness, prone to hiding behind to do list's and everyone else's needs. When I finally gave myself space and permission to tell my story, I found the joy of knowing myself. 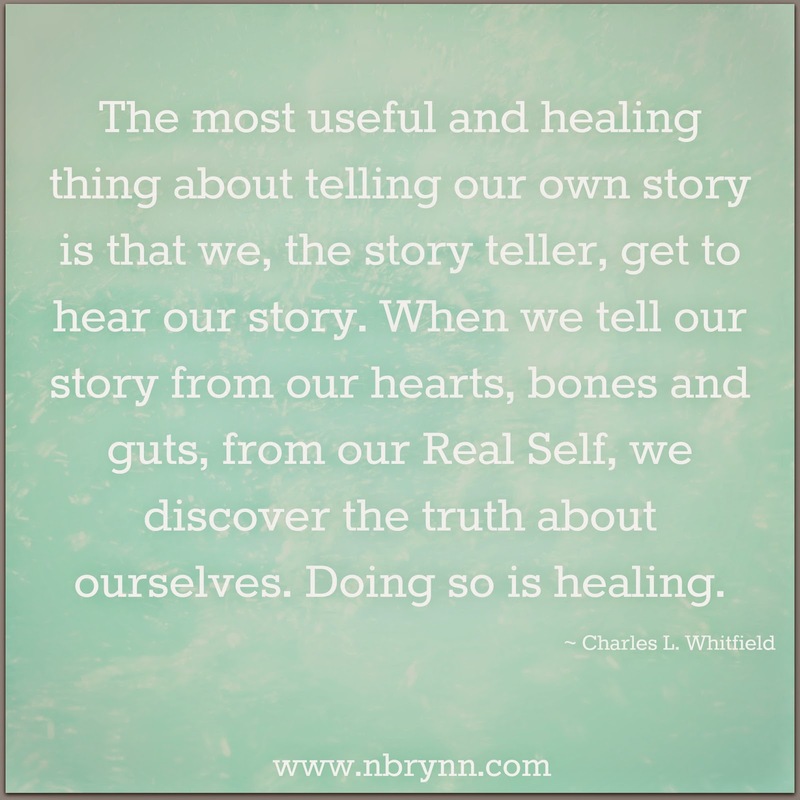 Author & doctor Charles L. Whitfield writes in his book, Healing the Child Within, "The most useful and healing thing about telling our own story is that we, the story teller, get to hear our story. When we tell our story from our hearts, bones and guts, from our Real Self, we discover the truth about ourselves. Doing so is healing." 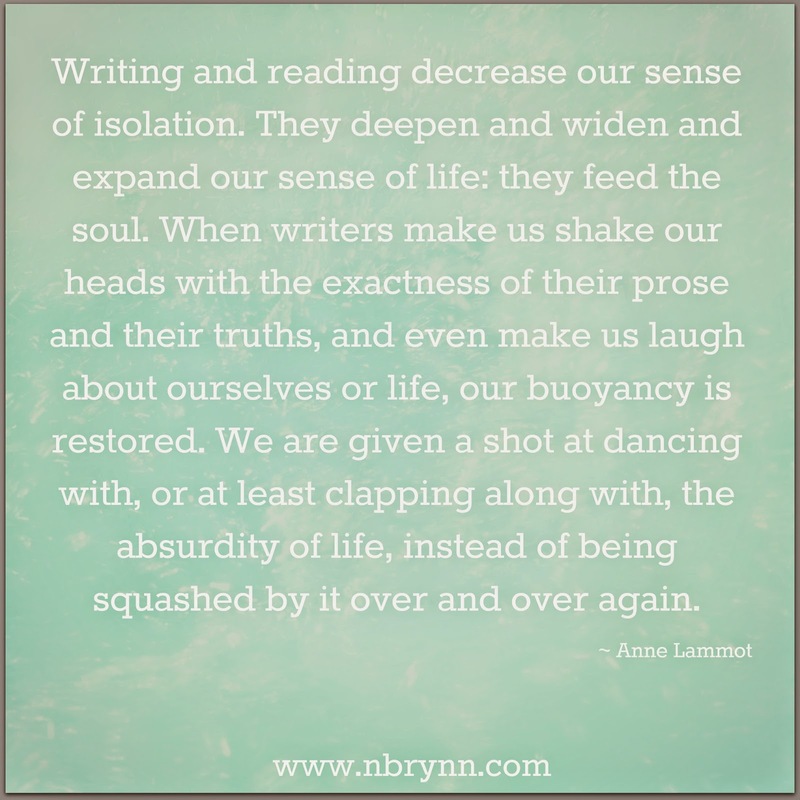 Writing pushes us into a state of attentiveness & gratitude. Writing has encouraged me to look deeper, to try new things and to appreciate all I had once been overlooking completely. 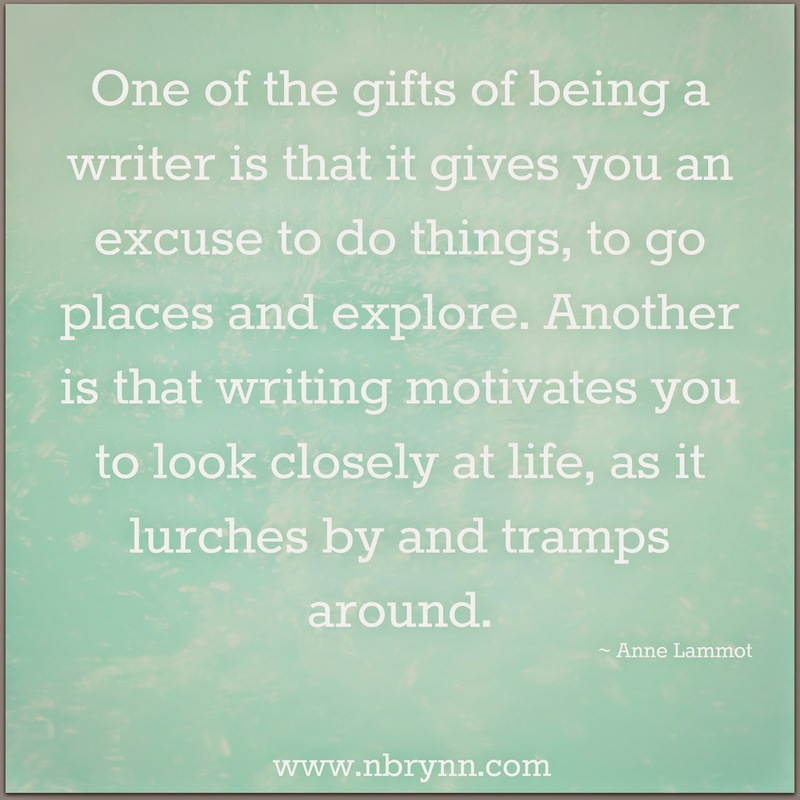 Author Anne Lammot writes in her book, Bird by Bird, "One of the gifts of being a writer is that it gives you an excuse to do things, to go places and explore. Another is that writing motivates you to look closely at life, as it lurches by and tramps around." Putting our stories into words is a direct path to the Divine. I have found that writing about our lives is a holy task and a deeply spiritual act. It has been my unexpected route back to the arms of God. 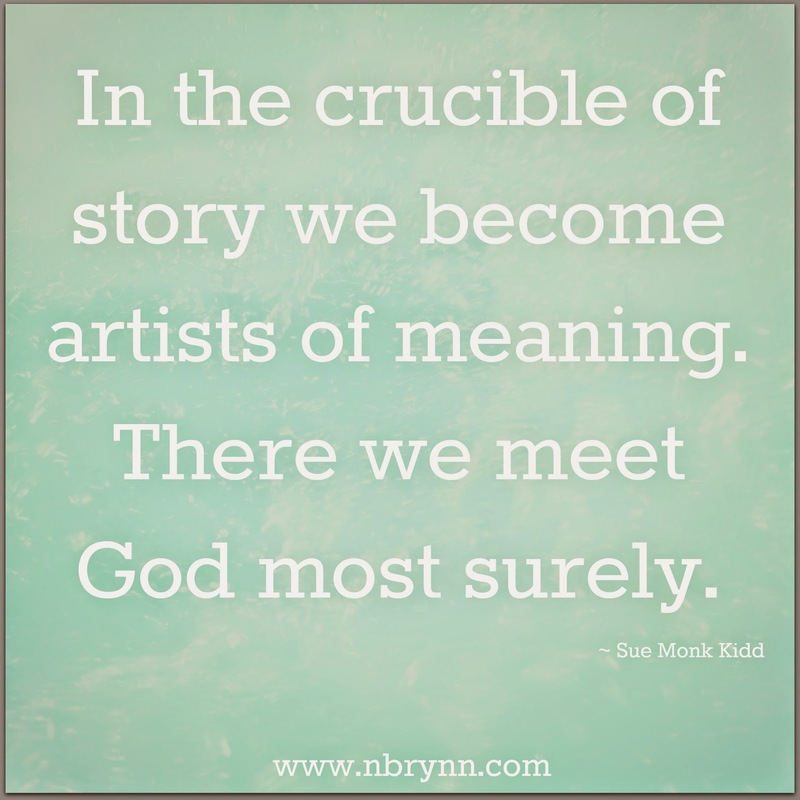 Author Sue Monk Kidd put it beautifully when she wrote, "God, the sublime storyteller, calls us into the passion of telling our tale. But creating personal spiritual stories is an act of soul-making that does not happening automatically. It comes only as we risk stepping into the chaos of our lives and naming the angels that inhabit the shadows. It comes as we give expression to our struggle for individual meaning, identity, and truth, as we wrestle with angels, both light and dark, and celebrate the places where God stirs. In the crucible of story we become artists of meaning. There we meet God most surely." Telling our stories is a gift to the world. I, like you, long to make a difference. I yearn to give to others and to leave some mark of goodness in this world. I have found that telling my story is an offering that wafts with fragrances of truth and beauty and love, an lasting offering that only I can give. 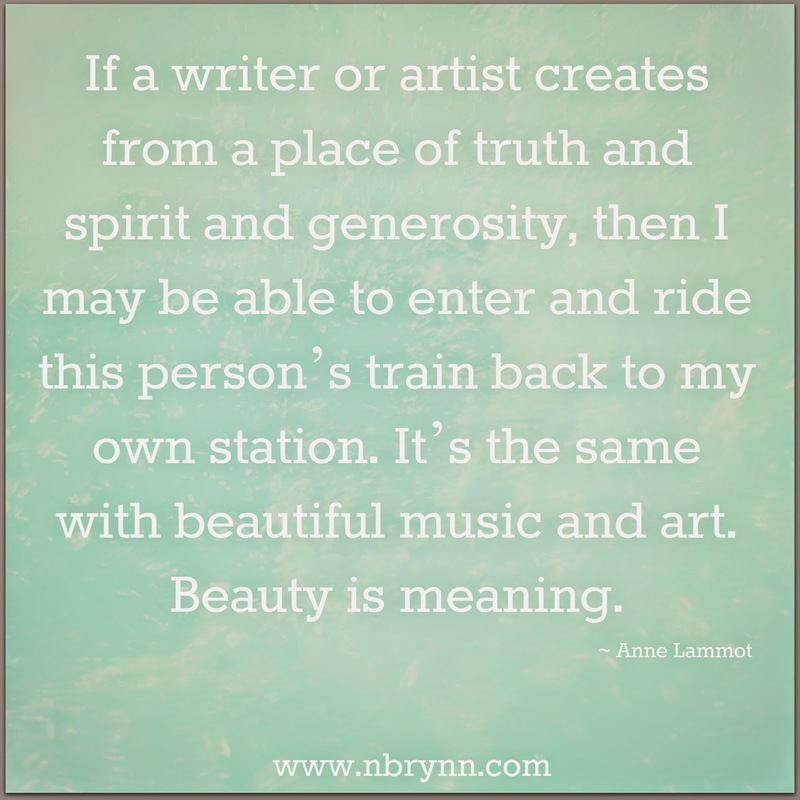 Author Anne Lammot writes in her book, Stitches, "If a writer or artist creates from a place of truth and spirit and generosity, then I may be able to enter and ride this person’s train back to my own station. It’s the same with beautiful music and art. Beauty is meaning." Writing ushers us into meaningful connection with others. I am regularly amazed by the souls with whom my writing connects me, the lives that I would have otherwise not known, now deeply and beautifully connected to me because of something I wrote. Again, it is Lammot who said, "Writing and reading decrease our sense of isolation. They deepen and widen and expand our sense of life: they feed the soul. When writers make us shake our heads with the exactness of their prose and their truths, and even make us laugh about ourselves or life, our buoyancy is restored. We are given a shot at dancing with, or at least clapping along with, the absurdity of life, instead of being squashed by it over and over again." For a long time, I wrote just see if I was still alive. Just to fill the space I inhabited in this world with more than skin and bones. But as I did so, I was met with an unexpected quantity of grace and clarity and revelation. I found in writing the very space I needed to become more whole, more alive and connected, more aware and hopeful. I discovered the incredible power of telling my story, and long to offer that same space to you. I am excited to be releasing a 30 Day Writing Challenge - a chance for you to join me in experiencing the hope and meaning and power of telling your story. Whether you tuck your words away in a journal, share your stories with a few friends or post them in a blog for all the world to see, there will be healing and freedom just from having written. See here for the next course date. I will send you a writing prompt each week, and also a creative exercise to help you go deeper and see farther. You'll take things at your own pace, in your own space. Sharing is optional, but truth-telling is not. I'll encourage you, challenge you and write alongside you. Wow, you've explained it all so well. Thank you for being a reader, Victoria, and so very sorry to hear of your terrible loss! I am honored to get to share my story with you and look forward to reading more of your story!